Released in 2001, Tony Hawk's Pro Skater 3 is one of four games to receive a 10 out of 10 score on Gamespot. The game continues the tradition of pulling skateboarding tricks for points, and adds a new trick, the revert. Note: Console and PC runs are in the same category because there are no gameplay differences. To make the times comparable, load times aren't counted when timing. Best time: Single-segment 0:03:55 by Joel 'George' Hall on 2013-01-30. This run began as a distraction from my work on a THPS4 speedrun. This distraction took over all speedrunning priorities for nearly a year and a half. So what happened? Sorcerer88's 5:47 was easy enough to beat, and after some route tweaking the time started coming down even more, eventually to 4:25, which probably could have come down to about 4:15 on that route. But then I found it. The one single most loathsome jump in existance that would haunt me for over a year. I was stuck in reset hell and that hell was named Suburbia. Invigorated by AGDQ 2013 and Sorcerer88's resurfacing, I set out to finally achieve a run I felt worth submitting. Less than three weeks later, I successfully completed a run with a time of 3 minutes 55 seconds. There are two or three mistakes in the run, but they're incredibly minor. Only one is a real eyesore, and even then it costs a second or less. 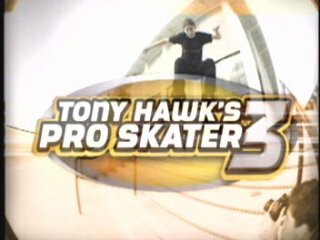 Stats and Tricks - Tony Hawk's Pro Skater 3 allows you to modify your skater's stats and tricks to your liking right from the main menu. I've done this before starting the run. The stats to take are Max Air, Max Ollie, Max Speed, Max Switch, and Half Spin. For tricks, the most important thing in this game is to have a trick like Judo or One-Foot Japan that allows you to fill your Special meter with a 180 Boneless grab. Unjam 5 Valves Cutscene Skip - When pausing and ending your run, the game will continue for a few frames before actually ending. In addition to allowing you to still pick up objects like Secret Tapes and SKATE letters after selecting End Run, any cutscene playing will be canceled if you time it correctly. The cutscene for completing Unjam 5 Valves is typically unskippable and lasts around 3 or 4 seconds. Boneless Glitch - After changing levels and skipping the goal movies, if you're still holding Ollie, you will not be able to do a No Comply/Boneless/Fast Plant/Bean Plant as your first trick. To circumvent this, release Ollie and hold it again. This mainly causes an issue in Suburbia and Airport, where your skater does not do their typical get on board animation. The work around in Suburbia is to skate off the platform and release ollie midair. There is no workaround for Airport. Now for the real kicker. There are still 5 other Career layouts for 3 Medals. Each should probably be its own category. Not to mention All Goals/All Golds and 100% are also untouched. This game is basically still in its infancy of being speedran. There's still plenty of routing and experimenting to do. But I need a break. What was meant to be a distraction has exhausted my drive of trying these other categories. I love this game and intend to come back to it, but I'd rather get back to THPS4 at this point.